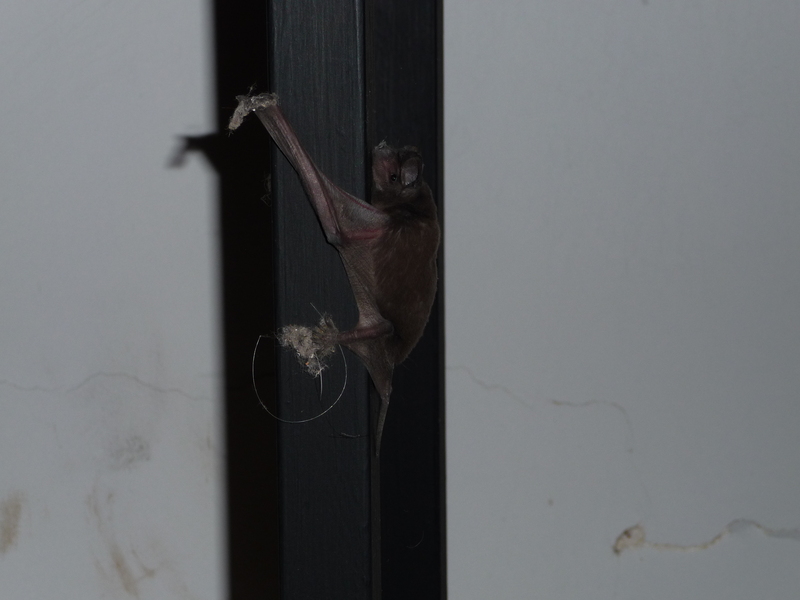 This is the baby bat that somehow-or-other got into the house last week. I assume it was a baby because he didn’t seem to have flying down just yet, and his wings appeared unbroken. He was a good climber though – this is him trying to climb the leg of one of the tables in the front room. 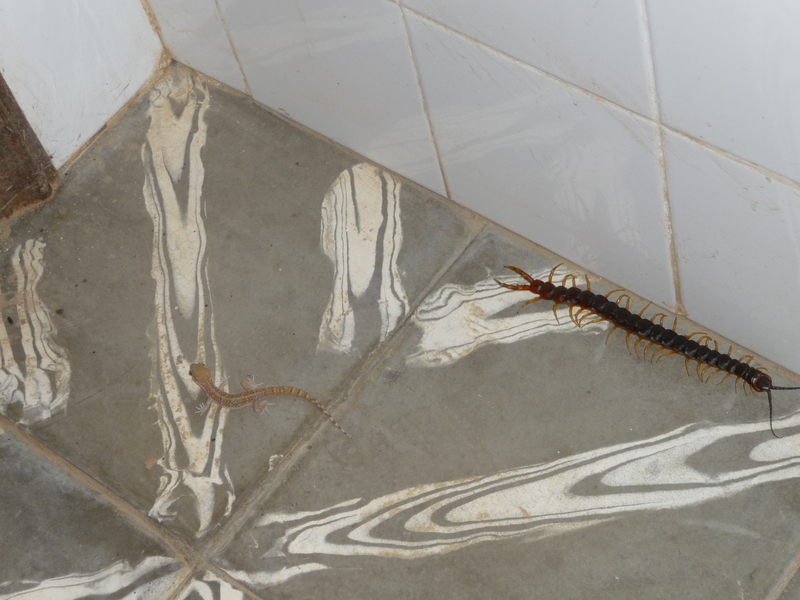 One day after brushing my teeth I turned around to find what is possibly the World’s Largest Centipede had crawled out of the bathroom drain and was inches away from my feet. He’s bothered by light, so as soon as I spotted him he took off to hide in the bathroom corner, where a gecko just happened to be hanging out. There was an interesting showdown. I expected the gecko to go after the centipede, but the gecko cowered in fear and the centipede went around him to try to get away from my flashlight. The giant spider who lived in the closet appears to have moved out during a cleaning spree over the winter break, and these two have taken up residence. I see them almost every night in some part or other of the room. do you have the flying cockroaches like i have here!? No flying cockroaches here. Yuck! But we do have these big fireflies that I thought were really cool until I realized they kamikaze into any light source they see at night, and the only light source is my headlamp. They have hard exoskeletons, so they sting a little when they hit your face. If I’m safely hiding under my mosquito net inside the room with my headlamp on I can hear them dinging off the windows and the tin roof.